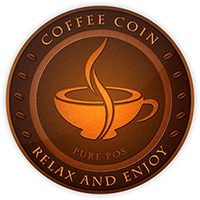 CoffeeCoin is also known as "CFC" and runs without being controlled by a reserve bank or single administration. You cannot mine the decentralized crypto currency, and as such, you can acquire CFC coins with an exchange service. The coin adopts the proof of stake (pos) consensus, along with the PoS algorithm. For the latest from CoffeeCoin, you can find them on social networks, such as Reddit. We don't have any exchanges listed for CoffeeCoin yet, check back soon! We don't have any wallets listed for CoffeeCoin yet, check back soon! We don't have any debit cards listed for CoffeeCoin (CFC) yet, check back soon!